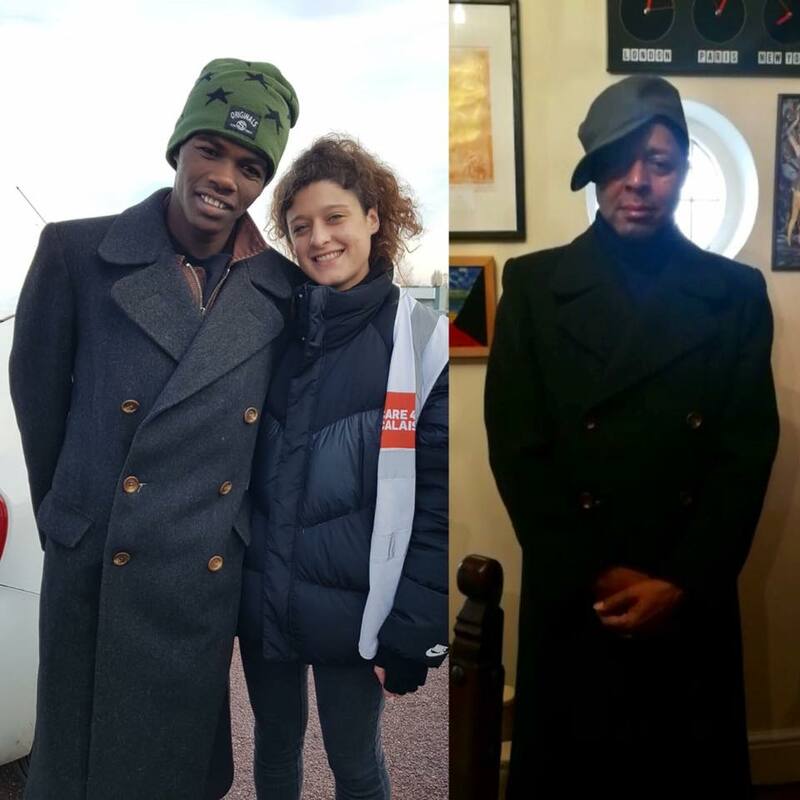 Last week we were distributing winter coats, donated via our #coats4calais campaign, to refugees living near to the French port town of Caen. Its a great privilege to be able to do this – to see the direct benefit of giving warmth to someone in this freezing weather. The people we work with in Caen are so lovey. Mostly from Sudan, they are so gentle, friendly and polite. However, after the distribution had ended this tall man arrived. He asked for a coat but we had given them all out, and my heart fell to the floor when I saw the thin top he was wearing. Then suddenly I remembered! I had a special package in my car. An expensive woollen coat generously donated by LEEE JOHN of Imagination. I ran to get it. The tall mans eyes lit up. And when I looked closer I saw that actually he was quite young – no more than 21 years old tops. When he put on the coat not only did he feel it’s weight and its warmth; he was so excited to be wearing something so expensive; something that made him feel smart and good about himself. Watching him walk up and down with pride was the best moment of my week. When the others saw this you might think that jealousy or anger could appear – but no his friends were as happy as me to see this and joined in taking pictures and complimenting him. They ask for so little, and small things can mean so much. All I wish is for our society to give a fair chance to everyone, no matter where they are born. Doesn’t everyone deserve that?